Are fine lines and wrinkles bothering you? If you want a pain-free solution to more youthful skin, skin resurfacing may be right for you. At Unique Dermatology & Wellness Center, Dyan Harvey-Dent, DO, offers Fraxel® Dual Resurfacing Laser therapy to achieve a rejuvenated skin tone and texture without needles, surgery, or downtime. Call the office in Valrico, Florida, or schedule a consultation online. This versatile treatment reveals the more youthful skin tone and texture you’ve always wanted. What can skin resurfacing treat? Skin resurfacing also treats precancerous actinic keratosis, which are rough, scaly patches that grow after too much exposure to the sun. The Fraxel system sends microscopic laser columns deep within your skin, where it kickstarts the production of new, healthy skin. 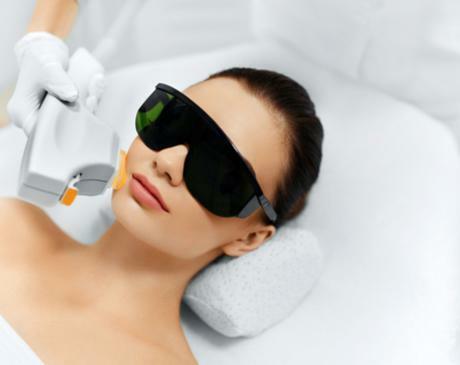 The laser energy stimulates the natural collagen remodeling process and promotes rapid healing. The treatment resurfaces your skin, resulting in the production of healthy skin cells. What happens during skin resurfacing? Once you arrive at Unique Dermatology & Wellness Center, your skin is cleansed. About an hour before your treatment, Dr. Harvey-Dent applies a numbing cream to make your treatment more comfortable. During treatment, she passes the small handheld device over your skin. The device emits laser light to stimulate the natural production of collagen and rejuvenate your cells. You may feel a warming sensation. A Fraxel treatment of your entire face generally takes 20-25 minutes. Aftward, avoid direct sunlight for at least 2-3 months, wear a hat when you’re outside, and use sunscreen with an SPF of 30 or higher. You may notice mild side effects, such as redness or swelling, but these usually go away in a few days. Your skin may look bronzed, feel itchy or dry, or flake and peel. This is to be expected. When should I see results from skin resurfacing? You should see optimal results in as few as 2-3 months. To achieve the best results, Dr. Harvey-Dent generally recommends 3-5 treatment sessions spaced about 4-8 weeks apart. This time frame allows your skin to heal and produce new collagen and elastin. Dr. Harvey-Dent works with you to create a customized treatment plan based on your overall unique goals. Take a step toward a rejuvenated complexion today. Call Unique Dermatology & Wellness Center or book a consultation online.